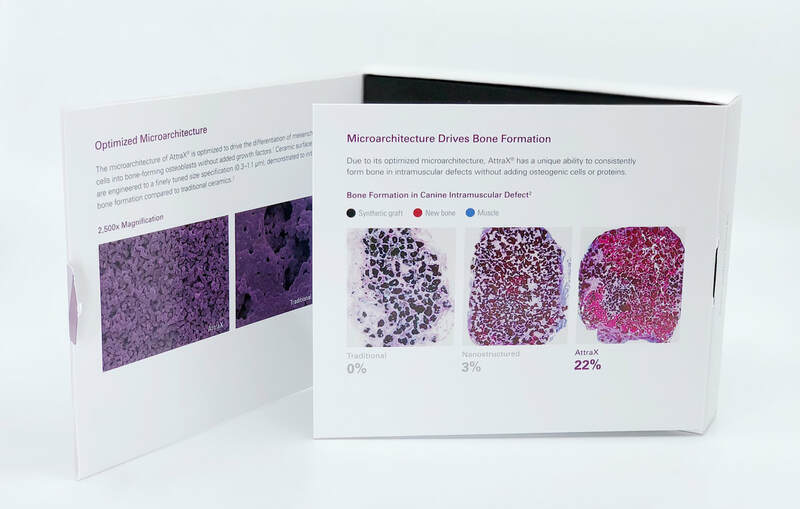 The Biologics department at NuVasive required a multi-panel package be designed for a demo kit of a product offering. The design was meant to engage and inform the end user through the experience of opening the package and reading the layers of content. The final product was well-received and is currently being distributed. NuVasive, Inc. is the copyright owner and all images are being used with permission.